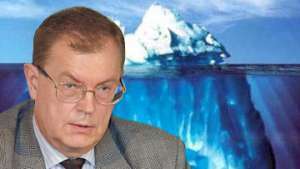 Adviser to RF President on the issues of climate changes Alexander Bedritsky came out with the initiative to limit internal emissions of greenhouse gases at the national level. The RF Government will discuss the idea of restricting СО2 emissions, RIA Novosti informed. "Bedritsky initiated consideration of the expediency of internal restrictions on greenhouse gas emissions and the plan for their implementation. A corresponding assignment has been made,” Agency’s informer from the Russian carbonic market told. The Ministry of Nature, Ministry of Economic Development, Ministry of Industry and Trade, Ministry of Energy, Ministry of Transport, Ministry of Finances and Ministry of Agriculture are taking part in the consideration of the issue besides the federal legislative authorities. The present world practice of retricting emissions at the national level offers several possible options. The system for the trading of gas emission quotas is one of them. According to Rex W. Tillerson, Chairman of the Board and CEO of Exxon Mobil Corporation, this system requires establishment of a new market infrastructure for trading emission quotas and can lead to speculations based on price fluctuations. The second option would be introduction of the carbon emissions tax. In this case, there will be no need in additional expenses and complications connected with establishment of a new market for investment business operations, or an additional apparatus of bureaucrats and administrators for business and consumer management. Besides this, it would be much easier to introduce the carbon emission tax: this could be done under the frames of the actual Tax Code without any additional substantial bureaucratic infrastructures. The Emission Tax, by experts’ opinions, is also the most efficient instrument for accounting emission costs in all economic solutions, starting with private companies’ investments made for their needs in fuel and up to consumers’ choices of products. The third option, according to Rex W. Tillerson, assumes direct taxation based on market prices. This approach can have one more advantage: the direct emission tax on carbonic emissions could be the most optimal base for setting a unified standard under which any state could be held liable for emissions. Taking into consideration the global character of the emission issue, as well as the fact that future emission growth will be in the first place stipulated by the economic growth of developing countries, each country should choose such an option for its emission policy which would stimulate both its internal solutions and participation of all countries in the President of emission reduction. The present situation with СО2 emissions in Russia is as following: by the 2010 data, greenhouse emissions in Russia without taking into account the land using sector, changes in land using and forestry (LULUCF) grew up by 4,27%, up to 2.2 bln tons of CO2 equivalent. As compared with figures of 1990 established as the basic year by the Kyoto Protocol, emissions went down by 34.25%, or 1.15 bln tons of CO2 equivalent. Economic assessments show that the following factors produce the major impact on the dynamics of greenhouse emissions in Russia: 1) growth of the gross domestic product (GDP); 2) changes in the structure of industrial production; 3) energy prices dynamics; 4) technological innovations and implementation of modern technologies; 5) implementation of policies and measures directly or indirectly affecting emission reduction. Prime Minister Dmitry Medvedev has time and again confirmed that by 2020 Russia will reduce greenhouse emissions by 25% to the level of 1990. However, Russia joined Canada and Japan at the resent Climatic Forum in Durban (South Africa) in their refusal to take part in the second term of the Kyoto Protocol obligations on emission reduction scheduled to start on January 1, 2013. Nonetheless, it looks like that despite Russia’s “external” reserve in climatic issues, development of the “internal” approaches to CO2 emissions restrictions became more and more actual in the recent period. The RF Government has already been on the “avenues of approach” to consideration of various options for carbonic restrictions for several years. It could be introduction of standards, obligations for a sector (of energy) but with an extended list of countries and mutual trade, etc. Which option would Russia prefer? We can only hope that it will not again turn into another corruption trap for business, but will truly stimulate industries for modernization and implementation of renewable energy.